This Feiss Payne 2 LED bathroom vanity light in polished chrome with opal glass shades, candle style fitters and rated IP44 features updated Tudor style, with clean minimalist design and spun metal detailing. Square polished chrome mount, with circular inset, candle style stepped spun shade fitter and two opal glass cylinder shades with chrome end caps. The supplied LED lamp bulbs shines through the opal glass shades for an all-round softer light. Can be mounted horizontally or vertically, over or alongside a mirror. Steeped in the revived English Tudor design trend, the Payne bathroom light has an elegantly simple and modern profile. The clean, white, opal etched glass complements the simple spun metal ring detail. 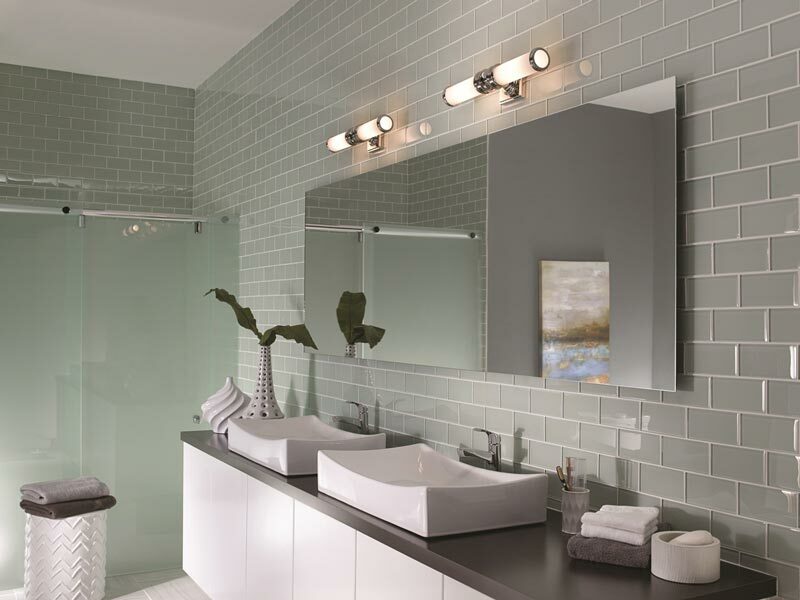 If you are searching for a quality twin wall light to complement your bathroom, this is certainly one to consider. The smooth, sleek lines are suitable for a contemporary setting, whilst the retro style makes it suitable for traditional and period bathrooms too. A stylish bathroom wall fitting that is suitable for all bathrooms and looks fantastic in period, traditional and contemporary bathrooms alike. Rated IP44 and suitable for zones 1 and 2. Specifically designed for use in bathrooms but can be used anywhere inside your home except wet rooms. Perfect for use as a wall light or over mirror light. This stylish light is supplied by Elstead Lighting and designed in the USA by Feiss, founded in New York in 1955. They have become well known over the years for their contemporary yet classic styling, quality and great original designs like the Payne 2 LED bathroom vanity light in polished chrome with opal glass shades, candle style fitters and rated IP44 you see here.